Oral hygiene is the foundation of good dental health. Brushing and flossing regularly is the best way to keep your Cedarburg & West Bend smile healthy and clean. 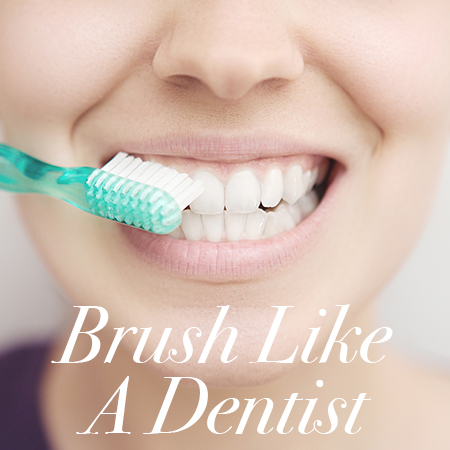 Consider this your personal tutorial on the art of dental hygiene, instructed by Drs. Kunick, Markham, Covelli, Bath-Juech, & Masek and the expert hygienists at Today’s Dentistry. Before we talk technique, we need to make sure you have the right tools for the job. You’re going to need a toothbrush, fluoride toothpaste, and floss. Pick whatever floss is most comfortable for you and any toothpaste that you like, provided it has fluoride. Mouthwash is not required, but some Cedarburg & West Bend residents really like the extra health boost you get from a good swish and gargle. Drs. Kunick, Markham, Covelli, Bath-Juech, & Masek remind us to floss before brushing. That way you can ensure that the particles and bacteria unearthed during flossing will be removed during the expert brushing session that follows. Make sure to floss at least once a day. We’ve talked toothbrushes, floss, and toothpaste, so now it’s time to teach the fine folks of Cedarburg & West Bend how to brush like a dentist. Here we go! If you have any questions or would like to come in for a professional cleaning, give us a call at Today’s Dentistry today!